Clockwise starting top left: Formula X Neon Top Coat, Perfect Formula Pink Gel Coat, Pro-Fx Glowing Nails, Dior Nail Glow, Wet n Wild Wildshine, and Nail-aid 1 Step French Mani. On a typical summer day my hands and nails are covered in dirt from the garden, subjected to the contents of bubble container messes, being battered trying to fill up water balloons, covered with dish soap in the sink, and whatever else I get into. But I like my nails to look neat, and that requires a bare minimum of clipping, filing, shaping, and coating with a sheer polish. When I found Perfect Formula Pink Gel Coat years ago (like maybe 10 years even! ), I thought the stuff was too good to be true. And I still do think that. However, I’m never content to accept that I found the best thing. So, I went hunting for similar products. 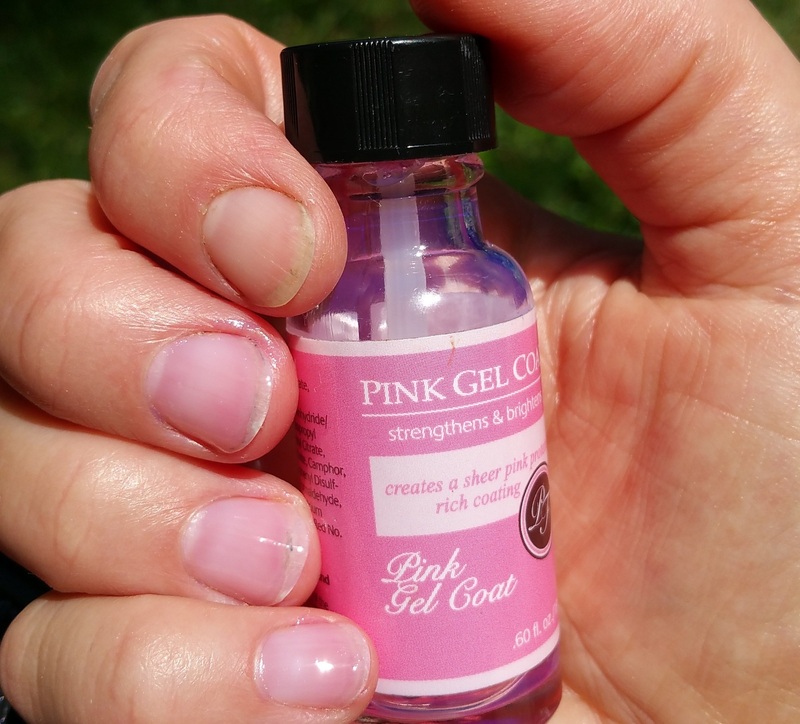 I decided to experiment with some less expensive and alternate brands to see if I could replicate the look of Perfect Formula Pink Gel Coat. Brushes – Out of the 6 polishes Dior Nail Glow’s applicator brush is the best for me. It is a wide brush that covers the entire nail width in one pass. Perfect Formula’s brush is the next runner up, as it collects enough polish for a nail in one dunk. Not terribly shocking is that Wet N Wild has the worst, thinnest, and flimsiest brush. Nail-Aid’s brush was not terribly bad though. 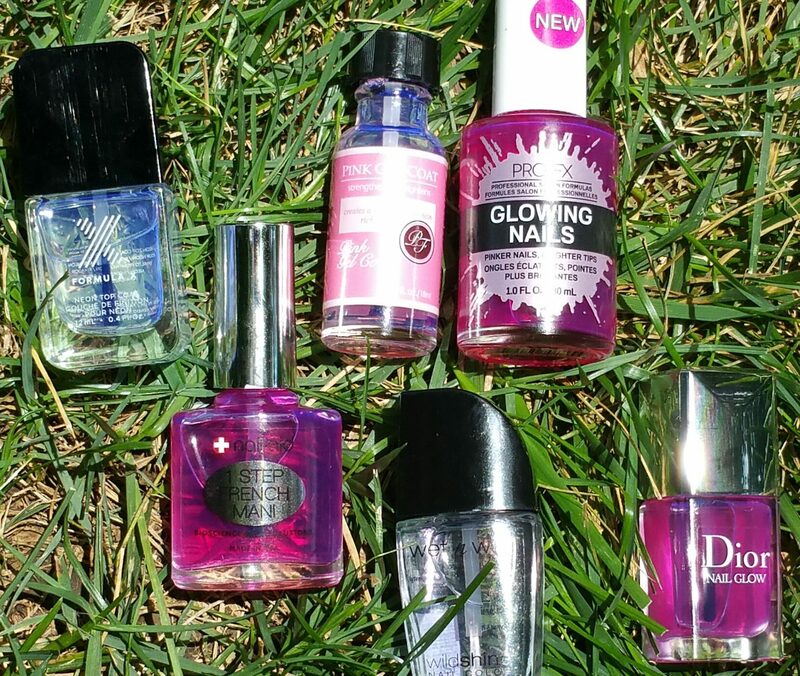 Consistency – There is a fine line between goopy and thick when it comes to nail polish. Personally I like thick polish for many reasons. I like how thick polish builds on my nails. I also like that it covers well. But too thick or the wrong type of thick nail polish, takes forever to dry. Here Perfect Formula is a huge winner. It really is a gel polish in that it’s thick and buildable. It dries quickly and can be used daily on top of old coats. 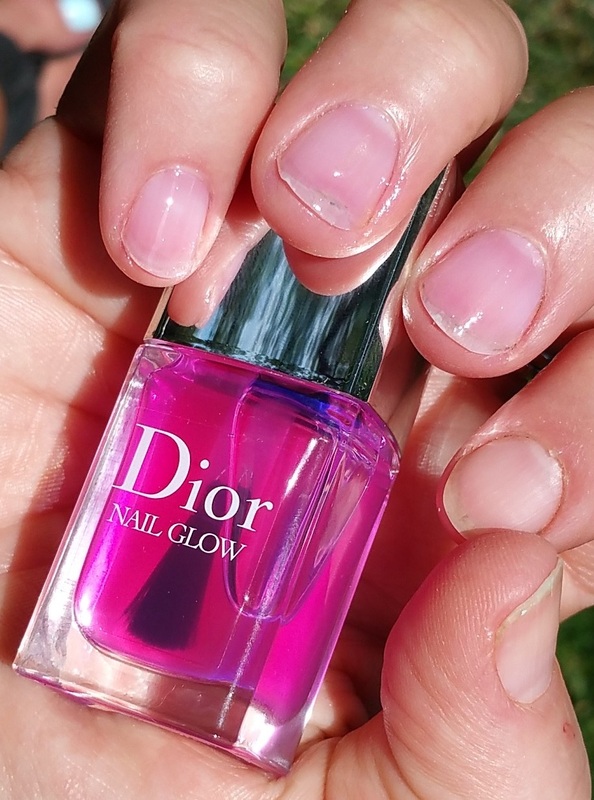 Dior Nail Glow also has a thick consistency but doesn’t seem to set as quickly as PF’s (Perfect Formula). Formula X also has a good consistency, but not as thick as Perfect Formula’s. Pro-Fx has a more watery but not terrible consistency. Nail-Aid and Wet N Wild were quite watery and did not build the way I like. The Glow – Note that polish doesn’t have to be tinted pink to glow. It’s awesome that Formula X is clear but glows in the sun. 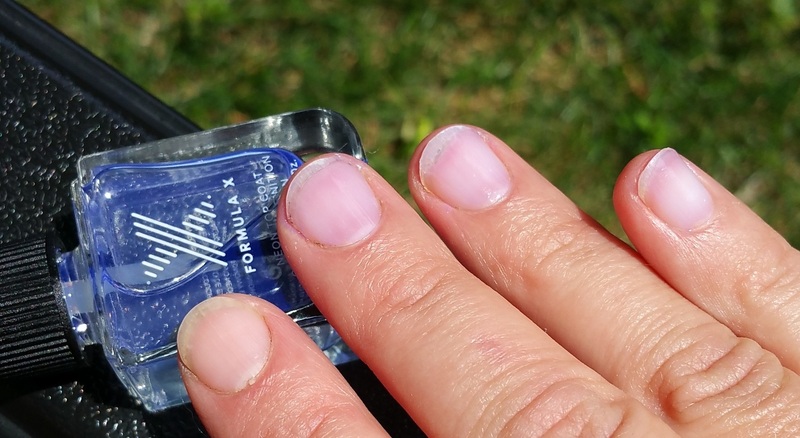 If I do not want pinkish nails, Formula X is hands down the best pick. I thought Wet N Wild’s polish was similar to Formula X, until I used them together and compared them. 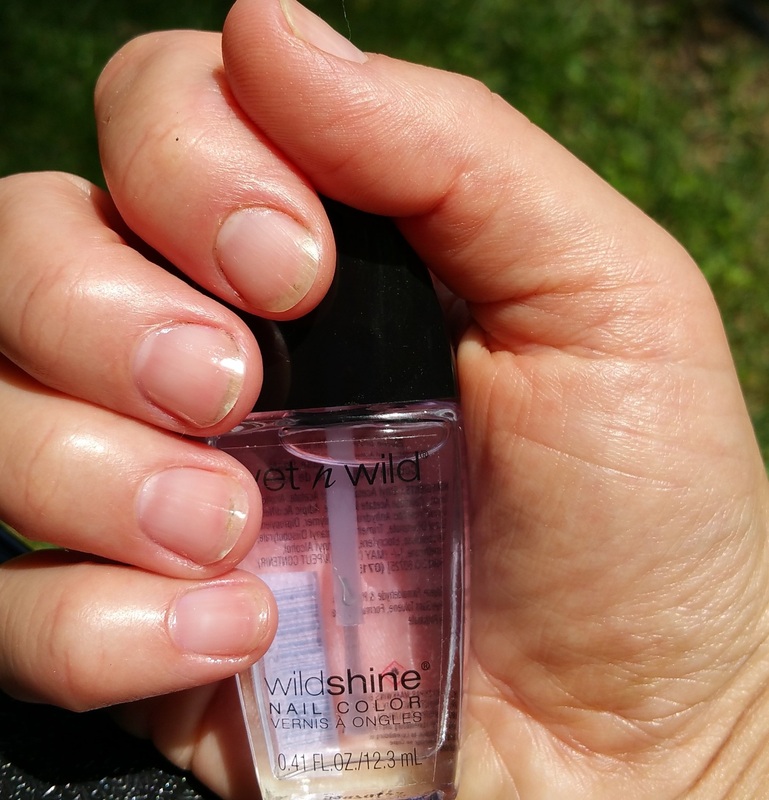 Wet N Wild offers some brightening but it’s not quite a “glow” polish. The others all offer a pink glow. I would say Pro-Fx is the most tinted of the group. As for the glow, I am partial to Perfect Formula. Shine – None of these are matte polishes, so technically they all shine and offer gloss. But, surprise surprise, Perfect Formula is hands down the glossiest polish. There is no need for a top coat with Perfect Formula. Dior Nail Glow is shiny right after polishing, but I do not think it wears very well. Although it’s certainly pretty and appealing. 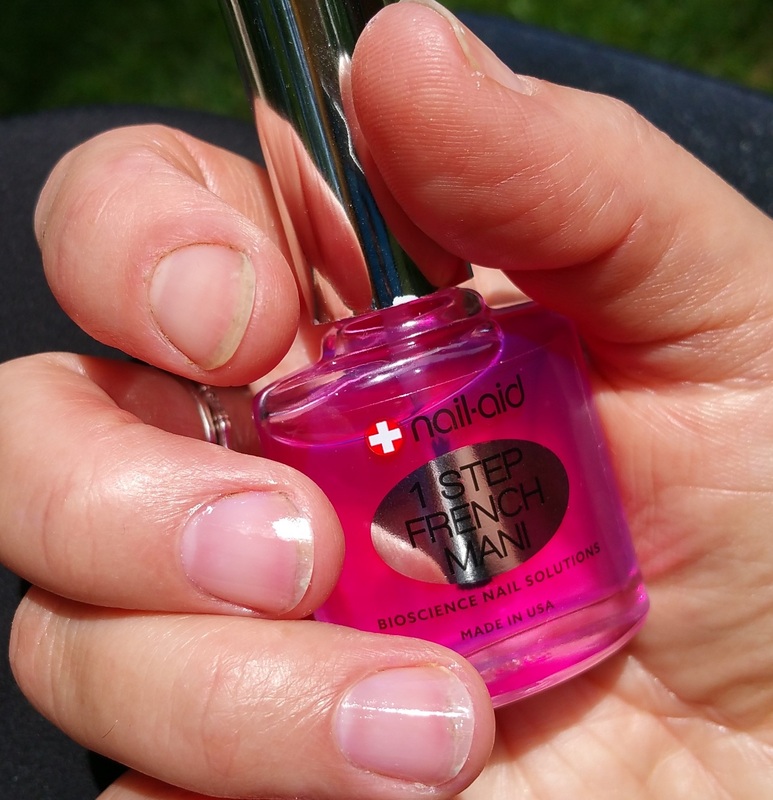 Staying Power – Perfect Formula and Formula X wear the best and stay on my nails longer than the others. Again, I find that Dior Nail Glow wears poorly. It has a really annoying tendency to peel off of my nails on the second day. That’s no good! Wet N Wild does not wear very well, to be honest. Possibly it needs a third or fourth coat to achieve staying power, given how thin the consistency is. But for $1?! No problem! Obviously Perfect Formula is my choice for the best all-around nail glow polish. However, I unexpectedly found two drugstore products from Nail-Aid and Pro-Fx that do a great job of mimicking PF and Dior Nail Glow’s effect. The only trouble is finding Nail-Aid and Pro-Fx polishes. I stumbled upon them at Walmart, where I really didn’t expect to find anything for this comparison line-up. Another surprise is that I couldn’t find anything at all at Sally Beauty Supply. I was so sure they would have a dupe product, but there was nothing! So, my advice is to check out Walmart first and then go to Amazon if your store isn’t stocked. You can find PF and Dior Nail Glow at Sephora, QVC, and many beauty retailers! So, ladies, what do you think? I know lots of people love Perfect Formula as well as Dior Nail Glow. Do you use one of these on a regular basis too? NEXT POST Next post: Ideas for Reusing, Repurposing, and Upcycling All Those Empty Birchboxes, Glossyboxes, Allure Beauty Boxes, Target Beauty Boxes, and so on! Perfect Formula has been my go-to for a few years. I agree that these polishes are a great way for your nails to look nice — fast. My only complaint is that it yellows fast in chlorine. I think so! hahaha! I just converted another friend to Cotz. She loves it, too. I use the Perfect Formula as well. I just love the “healthy” nail look with a hit of color (like you tried). I do feel it helps the health of my nail, so that is a major bonus against some of the others. Thanks, Anonymous. I did not know that!